There are situations in which we show a certain behavior that is not part of our usual reaction pattern. 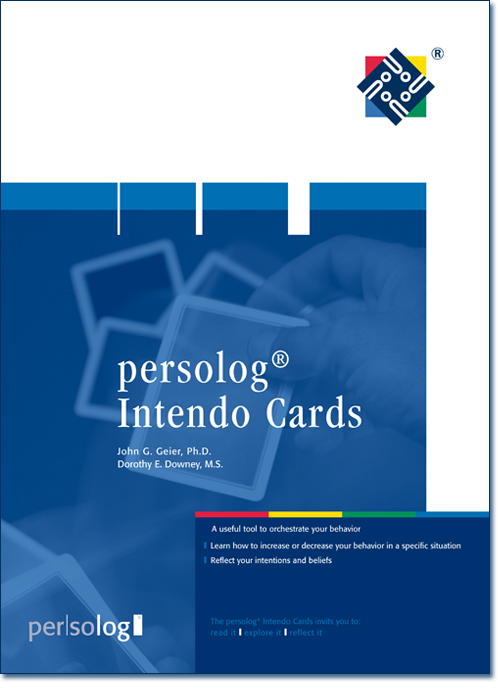 The persolog® Intendo cards are a practical aid for practicing the adaptation of your behavior to situations like this. Learn to adapt your behavioral dimensions to each situation, broaden your repertoire of behavior and reflect on your personal convictions. It’s the ideal coaching tool.